In the Singapore High Court decision of Astro Nusantara International BV and others v PT Ayunda Prima Mitra and others  SGHC 212, the Plaintiffs from the Astro group of companies (“the Astro Claimants”) succeeded in enforcing five arbitral awards totalling more than US$250 million against the Defendants from the Lippo group of companies (“the Lippo Respondents”). Although the case was decided under the provisions of the Singapore International Arbitration Act (“IAA”), the decision is also useful in the Malaysian context for the interpretation of the Arbitration Act 2005 (“Malaysian Arbitration Act”). This article will first set out a brief overview of the relevant provisions of the IAA before going on to discuss the facts and the legal issues of the case. The IAA follows closely the UNCITRAL Model Law on International Commercial Arbitration (“Model Law”). Section 3 of the IAA states that, subject to the IAA, “the Model Law, with the exception of Chapter VIII thereof, shall have the force of law in Singapore.” The excluded Chapter VIII of the Model Law deals with the enforcement, and opposition to the enforcement of arbitral awards. There are a number of Articles of the Model Law (incorporated by IAA) and Singapore procedure which are relevant to the facts and disputes of the case. First, Article 16 of the Model Law provides that the arbitral tribunal may rule on its own jurisdiction either as a preliminary determination or as a determination within the award on the merits. Where the arbitral tribunal makes such a preliminary determination on jurisdiction, the dissatisfied party may, under Article 16(3) of the Model Law (equivalent to section 18(8) of the Malaysian Arbitration Act), appeal to the Singapore High Court within 30 days. Secondly, Article 34 of the Model Law (similar to section 37 of the Malaysian Arbitration Act) sets a time limit of 90 days for a dissatisfied party to apply to the Singapore High Court to set aside an arbitral award. Lastly, in terms of enforcing an arbitral award and recognising such award as a Singapore Court Judgment, the Singapore procedure allows the Court to grant leave to enforce the award on an ex parte basis (i.e. without the presence of a respondent). The Order must be served on the respondent who may then apply to set aside the Order within a prescribed time frame. In 2008, the Astro Claimants (consisting eight companies) initiated arbitration proceedings against the Lippo Respondents (being three companies) under the auspices of the Singapore International Arbitration Centre. The dispute concerned a failed joint venture relating to the supply of satellite-delivered direct-to-home pay television services in Indonesia. The Astro Claimants succeeded in obtaining five arbitral awards against the Lippo Respondents, totalling more than US$250 million. The Astro Claimants then obtained leave from the Singapore High Court to enforce the five awards against the Lippo Respondents (“Enforcement Orders”) and attempted to serve the Enforcement Orders on the Lippo Respondents in Indonesia. In this dispute, there were two important time limits that had passed. Firstly, in the course of the arbitration, the Lippo Respondents had challenged the jurisdiction of the arbitral tribunal on the ground that three of the Astro Claimants were not parties to the arbitration agreement. The tribunal ruled by way of a preliminary determination that it had the jurisdiction to adjudicate the disputes in the arbitration. The Lippo Respondents did not to appeal to the Singapore Court against this decision within the 30 days period prescribed under Article 16(3) of the Model Law. Instead, the Lippo Respondents chose to continue with the arbitration proceeding under protest, and filed a counterclaim against the Astro Claimants in the arbitration. The time limit for appeal against this determination of jurisdiction had long passed. Secondly, after the five arbitral awards were issued in favour of the Astro Claimants, the Lippo Respondents did not to apply to the Singapore High Court to set aside the awards within the 90 days period prescribed under Article 34 of the Model Law. As such, the time limit for doing so had also expired. The Enforcement Orders were then purportedly served on the Lippo Respondents in Indonesia. After the expiry of the period to set aside the Enforcement Orders, the Astro Claimants entered judgment against the Lippo Respondents. The Lippo Respondents subsequently applied to challenge the service of the Enforcement Orders and to challenge the enforcement of the awards on the ground that the tribunal had no jurisdiction to join three of the Astro Claimants in the arbitration. The Lippo Respondents challenged the validity of service of the Enforcement Orders. The High Court ruled that there was no proper service of the Enforcement Orders and gave leave to the Lippo Respondents to challenge the enforcement of the awards. Of greater significance, however, were the issues concerning the challenge to the enforcement of the awards. These issues gave rise to certain novel questions of law and which led to the Singapore Court having earlier allowed the ad hoc admissions of foreign counsel, namely David Joseph QC for the Astro Claimants and Toby Landau QC for the Lippo Respondents, to argue the matters in the Court. 2. Whether the Lippo Respondents had a right to revive a challenge based on the alleged lack of an arbitration agreement and a misjoinder of some of the Astro Group companies to the arbitration well after the award had been made. Under the Model Law, it is generally accepted that there are two forms of challenging an award. The first is an ‘active’ remedy under Article 34 (equivalent to section 37 of the Malaysian Arbitration Act) to apply to set aside the award. The second is a ‘passive’ remedy under Article 36 (equivalent to section 39 of the Malaysian Arbitration Act) where the resisting party can wait until an application is made to enforce the award under Article 35 (equivalent to section 38 of the Malaysian Arbitration Act) and at that point in time, raise the grounds under Article 36 to oppose the enforcement. As explained by the Singapore High Court, the IAA makes a distinction between an international arbitral award rendered in Singapore (i.e. a domestic international arbitral award) and an international arbitral award rendered in a foreign New York Convention country (i.e. a foreign international arbitral award). For an international arbitral award (whether domestic or foreign), the IAA specifically excludes the mechanism of opposing the enforcement provided in Chapter VIII of the Model Law i.e. Articles 35 and 36. However, in respect of a domestic international arbitral award, an award is deemed “final and binding” under section 19B of the IAA, but subject to the express right of the dissatisfied party to resort to the sole and exclusive challenge through the setting aside mechanism. Although Chapter VIII of the Model Law is excluded by the IAA, in the case of a foreign international arbitral award, the dissatisfied party may still oppose the enforcement of the award under the prescribed grounds set out in section 31 of the IAA (which reproduces Article V of the Convention on the Recognition and Enforcement of Foreign Arbitral Awards concluded in New York on 10 June 1958). The Court pointed out that this difference in approach to domestic and foreign international arbitral awards is not unique to Singapore as several civil law jurisdictions, such as Germany and Quebec also adopt a similar difference in the treatment of domestic and foreign international arbitral awards. The Court further emphasised that the Model Law more properly resembles civil law rather than common law drafting. Hence, any discussion on the Model Law should draw from arbitration law in civil law jurisdictions. The Lippo Respondents’ sole avenue of challenge in the Singapore Courts in relation to the arbitral awards was through an application to set aside those domestic international arbitral awards. The Lippo Respondents had failed to do so within the statutorily prescribed time limits. Therefore, the Lippo Respondents could not avail itself of the remedy of opposing the enforcement of those awards. 3. As arose in the present facts, the aggrieved party could choose not to appeal under Article 16(3) but continue with the arbitral regime by fully participating in the hearing with an express reservation of its rights. The High Court held that in relation to the third option, it would not be open to a party to hold off bringing a jurisdictional challenge (i.e. by failing to appeal to the Court within the set time limit) and, at the same time, participate in the arbitration on the merits in the expectation that it could revive its jurisdictional challenge at a later stage should it prove to be unsuccessful in the arbitration. Such conduct would make a mockery of the finality and effectiveness of arbitral awards on jurisdiction. Challenging such an award on jurisdictional grounds is thus excluded from the grounds which a party may invoke at the setting-aside or the enforcement stage if the party has chosen not to bring an appeal under Article 16(3). It was held there are no passive remedies when it comes to challenging jurisdiction under the IAA – a party wishing to oppose a jurisdictional award must act within the prescribed time frame. The Singapore High Court cautioned that if a party decides to hedge its bets as the Lippo Respondents had done, the disadvantages and risks of this tactic are dire under the IAA if the outcome is an adverse award on the merits. Unlike the IAA, the Malaysian Arbitration Act permits the dissatisfied party under either a domestic or a foreign international arbitral award to oppose the enforcement of the arbitral award in the enforcement proceeding. 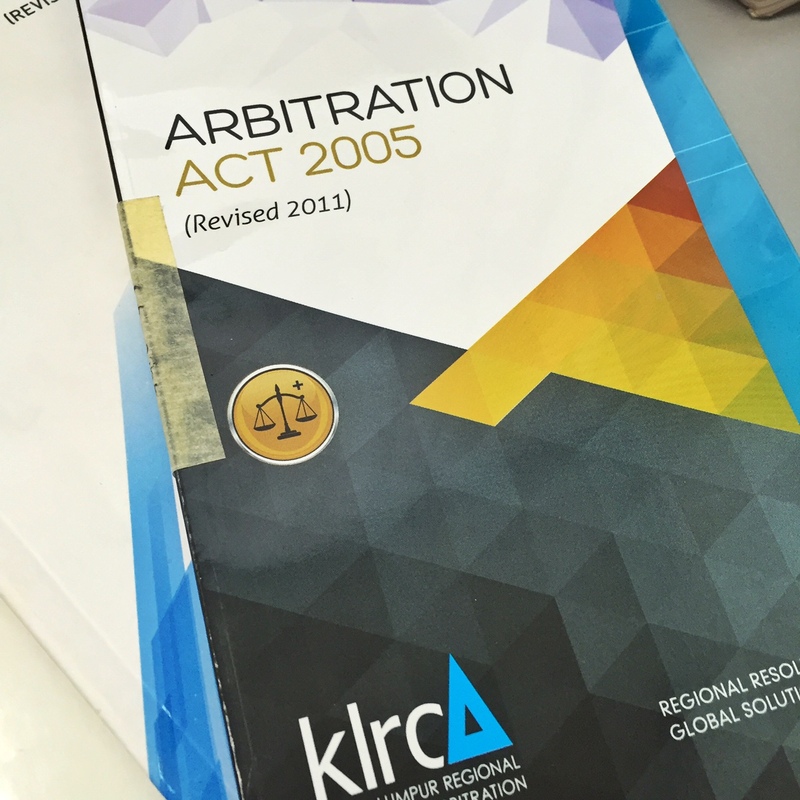 One interpretation of the Malaysian Arbitration Act (and one which is in line with jurisprudence from many other Model Law countries) is that, a party can always opt for either the ‘active’ remedy by applying to set aside an award under section 37 of the Malaysian Arbitration Act or for the ‘passive remedy’ by opposing the enforcement of the award in the enforcement proceeding under section 39 of the Malaysian Arbitration Act. However, there are High Court authorities that suggest that the failure to set aside an award within the prescribed time limit may be fatal to the party’s subsequent attempt to oppose enforcement (Ngo Chew Hong Oils & Fats (M) Sdn Bhd v Karya Rumpun Sdn Bhd  1 LNS 1321 and Bauer (M) Sdn Bhd v Embassy Court Sdn Bhd  1 LNS 1260). It remains to be seen whether this will be the approach that will be confirmed by the appellate courts. This Singapore High Court decision on the interpretation of Article 16(3) of the Model Law does provide a useful guide on the interpretation of section 18(8) of the Malaysian Arbitration Act. Applying the principles of the Singapore High Court decision, if a party fails to appeal to the High Court pursuant to Section 18(8) of the Malaysian Arbitration Act against the arbitral tribunal’s preliminary determination that it has jurisdiction, then the party could possibly be precluded from raising a challenge on jurisdiction in either the subsequent setting aside application of the final award under section 37 of the Malaysian Arbitration Act or in enforcement proceeding under section 39 of the Malaysian Arbitration Act. The Singapore High Court decision referred to authorities from Germany and Quebec on this point which the Malaysian courts can also draw reference from in the future.